The fourth assignment in the Incubator series of assignments that I have designed for my technical writing courses connects directly to the STEM-Based Technical Description Assignment I shared in my last post. In this project, students write a an instructional document related to their field, which will be part of a diversity initiative to interest local students in STEM careers (STEM = Science, Technology, Engineering, and Math). The instructions project pairs with the Technical Description Assignment, which described an object, mechanism, or process common in the student writer’s career field. This assignment asks students to write an instructional document that relates to their technical description document. In the scenario for the paired assignments, the technical writing students discuss a task that local middle and high school students will complete as they shadow someone in the companies that students have created for the course. They will provide step-by-step details on how to complete a simple and appropriate task that will help local students learn more about what someone in their career does. The assignment below has some minor changes to remove specific information that is relevant only to the students in my classes. References to “Markel & Selber” in the assignment refer to chapters in the class textbook Technical Communication by Mike Markel and Stuart Selber. Additionally, the scenario memo that sets up this week’s assignment is identical to that included in last week’s post. So that the assignment is complete, I have repeated it this week. You will write a user document (instructions) related to your field. The instructions will be part of a diversity initiative to interest local students in STEM careers (STEM = Science, Technology, Engineering, and Math). The user document will relate to a task that local middle and high school students will complete as they shadow someone in your company. You will provide step-by-step details on how to complete a simple and appropriate task that will help local students learn more about what someone in your career does. Your user document that students will pair with the Technical Description Project that you worked on last week. Note: We will use this scenario for two projects: Technical Descriptions (this week) and User Documents (next week). 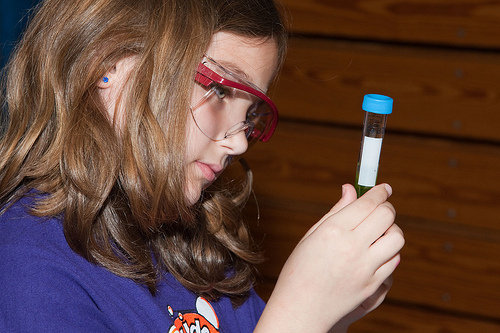 On Try-It-Out Day, students from Montgomery, Giles, Pulaski, and Floyd Counties will spend most of the day working one-on-one with employees from every company in the Incubator to learn about what careers in STEM involve. We will match students with the company that fits their interests, and then you will determine the employees who will work with those students. What Happens on Try-It-Out Day? Try-It-Out Day will take place on Wednesday, September 26, from 8AM to 4PM. From 10:30 to 12:30, employees from your company will teach students about some activities that they do in the normal course of their work. To prepare for this portion of the day, please choose a specific activity that students can safely complete in 15–30 minutes. Ideally, choose an activity that students can complete more than once, such as examining and sorting specimens as shown in the image above. A technical description of an object, mechanism, or process that relates to the activity students will complete. A user document that includes instructions the student can follow to complete the activity. If you need any help with this project, please let me know or contact my assistant, Leslie Crow <lcrow@utprosimincubator.org>. You can also talk with Incubator members who participated in the event last year. Step 1: Review your notes on the focus and audiences for your two projects. You are using the same focus for your User Document that you choose for the Technical Description that you worked on last week. Review the audience analysis that you completed last week to remind yourself of the characteristics and needs of the middle and high school students who will be following the instructions in your user document. Be sure that you have chosen a workplace task that they could believably complete and that will not place them in a dangerous situation. Step 2: Examine the information about instructions in Markel. Work through the questions for “Designing a Set of Written Instructions” (on page 560 of Markel & Selber) to make final decisions about how to adapt your instructions to meet the needs of your readers. Keep your readers safe by following the advice in the section on “Planning for Safety” (starting on page 562 of Markel & Selber). Follow the “GUIDELINES: Drafting Introductions for Instructions” (starting on page 566 of Markel & Selber) to ensure you include the proper level of specific information. Use the “GUIDELINES: Drafting Steps in Instructions” (starting on page 566 of Markel & Selber) to make the activity easy to understand and complete. Explore the examples in the section “A Look at Several Sample Sets of Instructions” (starting on page 568 of Markel & Selber) to see some of the options for layout and formatting as well as the details to include. Step 3: Write the user document for students to follow. Be sure that you include the required features for instructions. Review your project, using the Writer’s Checklist for Chapter 20 (on page 576 of Markel & Selber) and the Assessment Criteria below. Post a rough draft of your technical description to your Writing Group in Canvas in the 09/20 Draft Feedback Discussion in Canvas. Additional instructions are in the Discussion. Post a draft of your technical description by September 20. If you are late submitting a draft, your group may not have time to provide feedback. Provide feedback to the members of your writing group in the 09/20 Draft Feedback Discussion in Canvas, by September 24 (end of the grace period). Use the information on the Writing Groups page to provide constructive feedback that will help your group members make concrete improvements to their drafts. Step 9: Include a polished version of your project in Project Portfolio 1, due October 1. Have your Technical Description Project finished and ready for submission in your Project Portfolio 1, which is due Monday, October 1. The grace period for Project Portfolio 1 ends at 11:59PM on Thursday, October 4. Has a clear title that is specific to the instructions. states the purpose of the task. describes the safety measures or other concerns that readers should understand. lists the necessary tools and materials. expressed in the imperative mood. if appropriate, a troubleshooting guide. I supplemented the assignment and the textbook information with some short videos and other materials that discussed how to decide between arranging instructions in a sequence and breaking instructions out in steps. Class discussion focused on students’ experience with following instructions. They offered many examples of instructions that didn’t give the end user enough details, primarily from instructions for building furniture. Things have not been all smooth with this assignment, however. 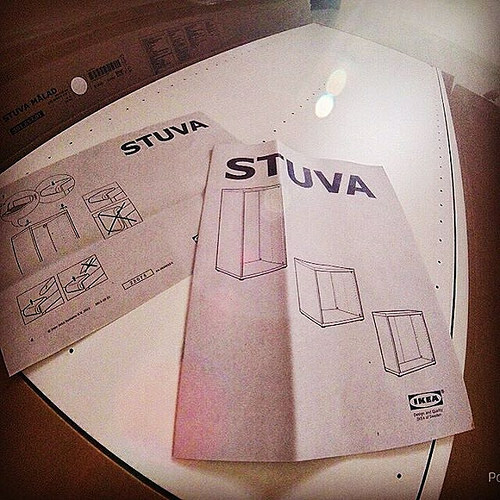 Some students were confused about the connections between the technical description and the instructions. I thought that breaking the activity into two separate pieces would help them focus on one genre at a time. Instead, I complicated the projects. I will likely use one assignment, combining the two projects, in the future. Next week, I will share details from the portfolio submission assignment, including an infographic I created to help them understand the process. Students have completed half of the writing projects, so they will turn in their collected works. Until next week, let me know if you have any questions or suggestions by leaving me a comment below. This week I am sharing the third writing assignment in the series of assignments I designed for my technical writing course. 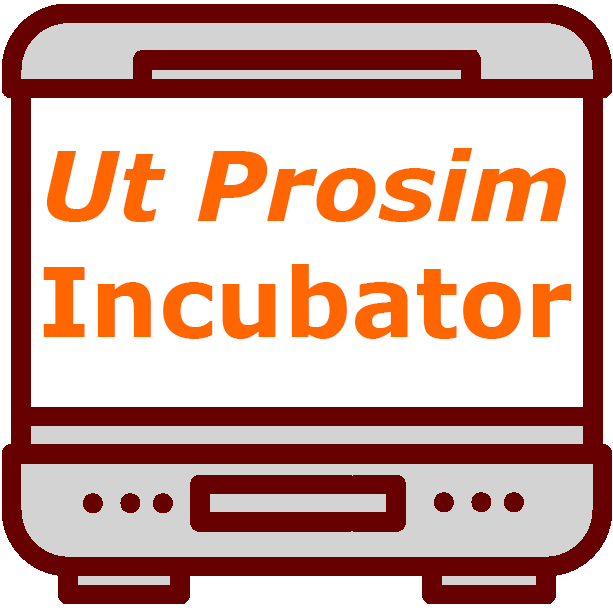 The series focuses on tasks related to a fictional business incubator, the Ut Prosim Incubator. In this week’s assignment (which is a revision of an activity I shared in the past), the fictional companies students have been working with are participating in a STEM (Science, Technology, Engineering, and Math) education initiative. At this point in the course, students have established a company and given it an identity by designing visual and writing guidelines for the ways that their companies use the different kinds of correspondence. This week’s assignment asks students to turn to a short document that focuses directly on a technical task, describing an object, mechanism, or process for an audience of middle- and high-school students. The assignment below has some minor changes to remove specific information that is relevant only to the students in my classes. References to “Markel & Selber” in the assignment refer to chapters in the class textbook Technical Communication by Mike Markel & Selber and Stuart Selber. You will write a technical description related to your field (such as of a tool that is typically used or a process that is part of your industry). The description will be part of a diversity initiative to interest local students in STEM careers (STEM = Science, Technology, Engineering, and Math). The description will relate to a task that local middle and high school students will complete as they shadow someone in your company. Step 1: Decide on the focus for your two projects (this week’s Technical Description and next week’s User Document). give the students an idea of what someone in your career does. excite the students about the prospects of a career like yours. Try to limit yourself to topics with which you have some expertise (or at least some experience). 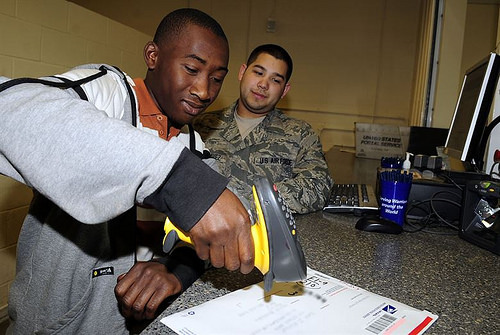 Since middle and high school students will be following the instructions, choose something that they could believably complete and that will not place them in a dangerous situation. Step 2: Analyze the audiences for your two projects. You will write a technical description and user document that middle and high school students can use as they complete an activity on Try-It-Out Day. Use the information from Markel & Selber, Chapter 5 to decide how the characteristics of the audiences will influence your writing. Consider the questions in Figure 5.2: Audience Profile Sheet and/or the Writer’s Checklist at the end of the chapter to guide your analysis. Step 3: Examine the information about technical descriptions in Markel & Selber. Incorporate definitions for unfamiliar terms and ideas, following the “GUIDELINES: Writing Effective Sentence Definitions” (on page 539 of Markel & Selber) and the related information in the textbook. Use the questions in “TABLE 20.1: Questions To Answer in Introducing a Description” (on page 550 of Markel & Selber) to gather the relevant details for your description. Follow the “GUIDELINES: Providing Appropriate Detail in Descriptions” (on page 551 of Markel & Selber) to ensure you include the proper level of specific information. Step 4: Write the technical description for students. Be sure that you include the required features for technical description. Review your project, using the Writer’s Checklist for Chapter 20 (on page 576 of Markel & Selber) and the Assessment Criteria below. Everything you write should use accurate/appropriate image editing, grammar, spelling, punctuation, mechanics, linking, and formatting. These are important basic writing skills that you should have developed in high school. Review your project using the Writer’s Checklist at the end of Markel & Selber, Chapter 10 (on page 242 of Markel & Selber). Post a rough draft of your technical description to your Writing Group in Canvas in the 09/13 Draft Feedback Discussion in Canvas. Additional instructions are in the Discussion. Post a draft of your technical description by September 13. If you are late submitting a draft, your group may not have time to provide feedback. Provide feedback to the members of your writing group in the 09/13 Draft Feedback Discussion in Canvas, by September 17 (end of the grace period). Use the information on the Writing Groups page to provide constructive feedback that will help your group members make concrete improvements to their drafts. Step 10: Include a polished version of your project in Project Portfolio 1, due October 1. Indicates the nature and scope of the technical description clearly. Includes a graphic in the introduction that identifies the principal parts. Uses an appropriate organizational principle. Includes a graphic for each of the major components. Summarizes the major points in the part-by-part description in the conclusion. Includes (if appropriate) a description of the item performing its function. where and when it takes place. who or what performs it. what its principal steps are. Includes a graphic in the introduction that identifies the principal steps. Discusses the steps in chronological order or some other logical sequence). Makes the causal relationships among the steps clear. Includes graphics for each of the principal steps. Summarizes the major points in the step-by-step description in the conclusion. Discusses, if appropriate, the importance or implications of the process. In addition to this assignment, I shared information on readability statistics with students. While I believe such statistics have definite limitations, tools such as the Flesch-Kincaid Grade Level help students determine if they are writing too far above or too far below their audiences’ comprehension level. The second part of this assignment focuses on writing the instructions that the middle and high school students will follow on Try-It-Out Day. I’ll share that activity next week. Until then, if you have any questions or comments about the assignment, please leave me a comment below. I’d love to hear from you.